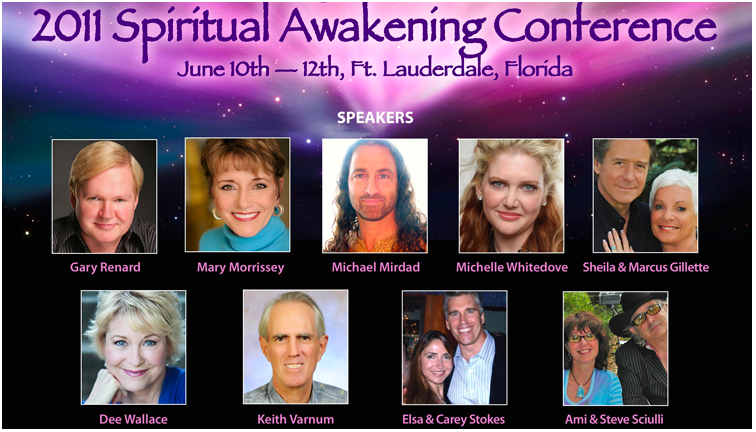 I recently attended the 2011 Spiritual Awakening Conference in Fort Lauderdale, Florida. I have attended many similar conferences. As always, I learned a lot during this weekend event. But I also had more fun than ever! It was an experience that was both uplifting and joyous. 1. We who are seeking to accelerate our spiritual growth tend to take our spirituality too seriously. I was astounded to learn that I have been doing this all along without knowing it. Like anything else in life, spiritual growth should not only be meaningful but also enjoyable. This physical world seems real to us because we take it so seriously. 2. The ego is the "you" that you believe yourself to be. You identify yourself as a physical body and personality. The ego wants you to continue to believe this to ensure its own survival. In reality, you are an unlimited and eternal spiritual being. If you could undo your false beliefs about what you are, you would be left with the real you. Then, at last, you would be genuinely happy. 3. We are here in the physical world having an experience that is not real. This experience is like watching a movie. Even though it isn't real, we can still enjoy it, just as we enjoy watching movies. But we should respect the experience in order to avoid needless pain and suffering. 4. As A Course in Miracles tells us, our experience here in the physical world is merely a dream. Enlightenment is the process whereby we can awaken from the dream while still here. Spirit is gently trying to awaken us from the dream. 5. What we are now experiencing is not the end of the world. It is a great cosmic awakening. Many are choosing to awaken at this time. 2012 symbolizes our awakening. 2012 is about ending our belief in limitation and choosing instead to accelerate to a higher level of vibration. 2012 implies an end to the ego's stranglehold on us, allowing us to make a gigantic leap forward in our spiritual evolution. The earth itself is returning to the level of vibration it once held as the Garden of Eden. There will be a 2013, but we could be changed forever by the transformation we are now undergoing. 6. Our thoughts and beliefs create the kind of experiences we have here in the physical world. This is difficult to understand and accept because, from birth, we have been taught that things happen to us, and our five senses seem to confirm this. No one ever taught us that we are creating our life experience -- or that we can change it, if we wish. 7. You incarnate in order to learn in slow motion the power of your thoughts and beliefs. When you have a clear idea about what you want in life, you then begin to resonate at that frequency and all kinds of things begin to happen to make it become your life experience. Anything that you can conceive is a potential reality for you. So stop focusing on all the crap in your life and start focusing on what you do want. 8. Miracles are not only possible -- they are probable. They occur when we change our beliefs. 9. We are on a journey without distance to a place we never really left. We perceive ourselves as being someplace other than Heaven, and we are seeing the effects of a make-believe world we created. We are, in fact, still in Heaven, dreaming that we are in exile in a physical world. It takes incredible effort to sustain the physical illusion we created. That explains why we need to sleep every night. That may also explain my compelling need for afternoon naps. On one hand, we are trying to sustain the illusion we created. On the other, we are undergoing a profound transformation that will lead to our awakening. These two contradictory processes leave us exhausted and disoriented. 10. We conjured up the illusion that we are separate from God. "Returning to God" should now be our first priority. At long last, we may be ready. I plan to attend the Spiritual Awakening Conference again next year as part of my on-going journey through this physical universe. I highly recommend it to you. Perhaps I will see you there. Awakening from the dream is an important mission for me and you have further stimulated my desire for enlightenment. Notice the word 'light,' when we awaken, we become again a being of Light, filled with Divine virtues. In the eBook of Theo Chambers to be released in the next 2 weeks on Amazon.com, Neil deGrasse Tyson, renowned AstroPhysicist and cosmologist stated "when I look up into the night sky and I know that we are part of this univese - we are in this universe; but perhaps more important than both these facts is that the universe is in us. When I reflect on that fact, I look up; many people feel small because the universe is big. I feel big becasue my atoms came from those stars." We are the universe and the universe is in us. We are indeed Divine beings having an earthly experience and it is time to awaken to meet our enlightened Self. 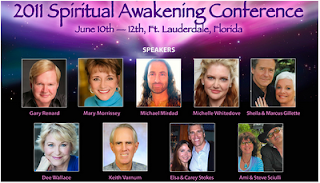 I hope that next year I can join you and others who will attend the Spiritual Awakening Conference and enjoy some of the good times to be had! In the meantime, live, love and laugh! Welcome back Roy. 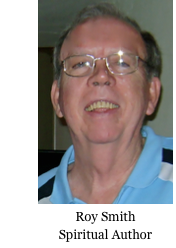 It just wasn't the same with out you. This Blog will serve as a source of important topics to revisit and contemplate again and again. Each time leaving me refreshed and enlightened.